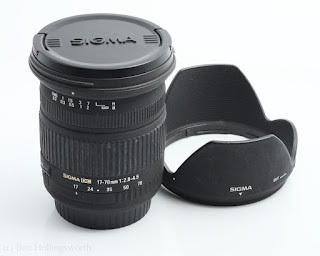 Because I've got bad GAS (Gear Acquisition Syndrome), I've got a number of items that I really need to sell so as to free up more room on the shelf (and pocketbook) for new gear. The only thing really holding me up from selling things is that I haven't taken the time to get some decent photos of the items to accompany the ads. While driving home one night past a craft store, it occurred to me how I could make a simple light box that could break down for easy storage and still not cost a ton of money. You can buy collapsible light tents online in various forms for under $100. This 16" cube folds down flat for under $20. Another 16" model even includes two hot lamps with stands. EBay is full of similar models. Of course, I wanted something a little more flexible that could be configured for multiple sizes as needed. 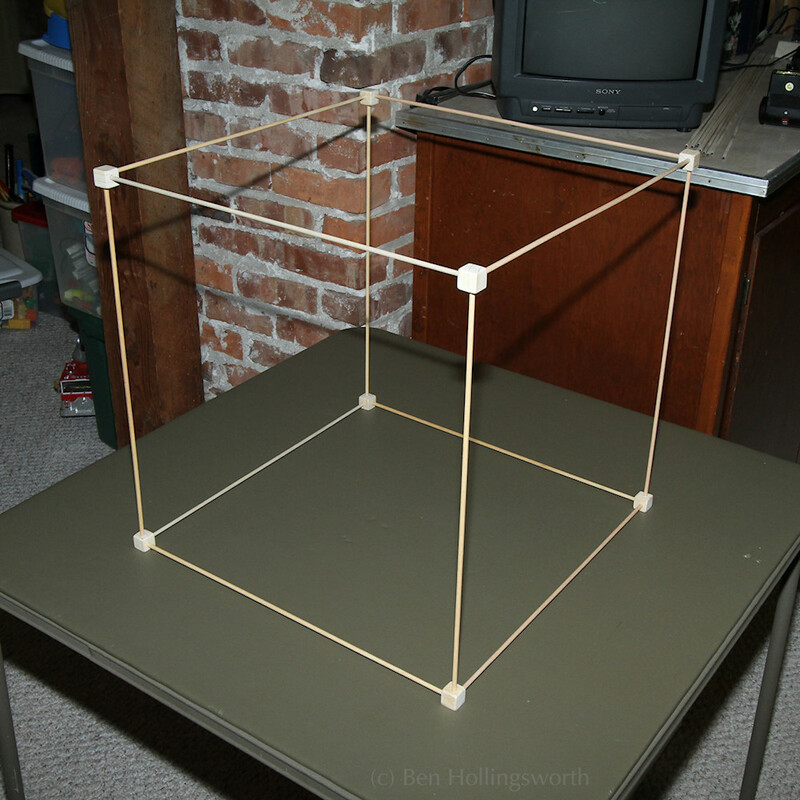 My idea was to make a cubic frame from twelve 3/16" (5mm) dowels and eight 3/4" (19mm) wooden cubes. 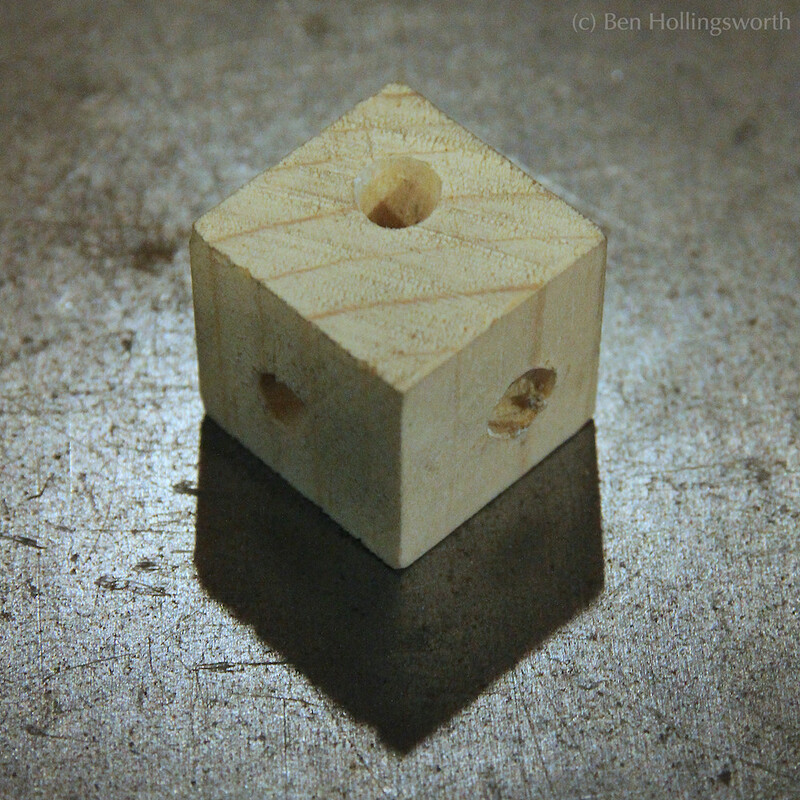 The cubes would be the corner points, and would contain holes into which the dowel ends would be inserted. 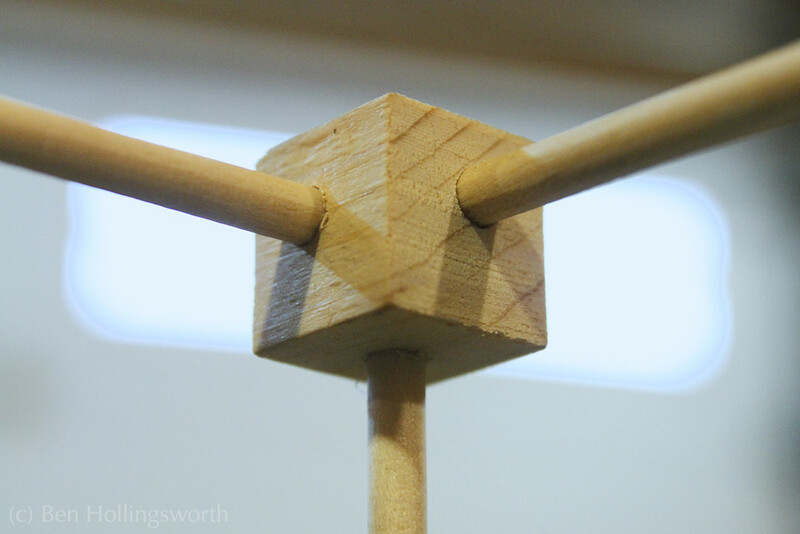 By varying the length of the dowels, the size or shape of the box could be changed. Over the top and sides of this wooden frame would be wrapped a sheet of translucent, white fabric. The fabric would diffuse the incoming light and cause the light inside to bounce around to create a soft, ambient glow. I bought my dowels from Hobby Lobby and Michaels at 29 cents for each 36" (91cm) dowel. I had to hunt through the entire bin of 50 or more to find 12 straight ones. The fabric was also bought at Hobby Lobby. It's a 100% polyester fabric that's matte on one side and slightly shiny on the other side. It's thin, white, and just a tiny bit see-through. It's the kind of fabric that I'd expect to see used on a wedding dress. It came on a 5-foot wide roll for US$2.99 per yard. I bought a 5x10' piece of it for $7. You need at least enough for a single piece to cover the top, left, and right faces of the box, and a little extra never hurts. The back will be covered by your shooting surface, and the front must be open for the camera. The shooting surface inside the box is what gave me the most trouble. None of the craft stores I visited stocked large sheets of poster board. Then it dawned on me: I have several 9-foot-wide rolls of white & grey seamless background paper. I could just cut off as much as I need from the end of those rolls. For smaller light tents, I found a 22x28" sheet of dry-erase paper at a craft store. It's very white and shiny enough to provide a tiny bit of reflection of the objects being photographed. While cutting the 3/4" corner cubes might be annoyingly difficult for some, I'm pretty well set for woodworking tools like a table saw, miter saw, and drill press, so it was no big deal. I've seen people make similar frames from small diameter PVC pipe & fittings, but those won't break down quite as small for storage. Because the frame breaks down into sticks and cubes, and the background & surround can be rolled up, the entire kit can be conveniently stored inside a 3' length of PVC pipe with end caps (or any other cardboard tube you may have lying around). 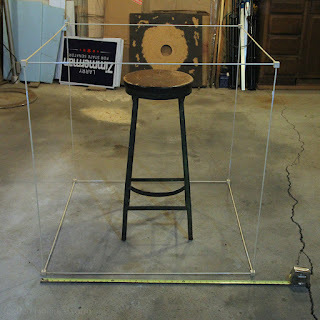 I plan to paint the frame white to help it disappear when shooting reflective objects. I already had the paint, corner wood, and PVC pipe on hand, so the entire setup cost me less than $15 for a 36" light tent with a durable storage case. After setting it up the first time, I realized just how enormous a 36" light tent really is. I'm sure it'll come in handy for some products, but for most of the stuff I shoot (like camera equipment and other things I sell), a smaller tent would do nicely. The nice thing about this setup is that I can turn it into an 18" light box by simply getting a dozen more 18" dowels and using a smaller sheet of background paper. Just because a craft store says that their dowels are 3/16" in diameter doesn't mean that they really are. Due to a shortage of straight dowels, I had to visit two different stores to find 18 straight dowels (for a complete set of 36" and 18" sticks). Michaels' dowels really were about 3/16", but Hobby Lobby's dowels were actually 7/32". Of course, I drilled my holes to match the larger dowels, so I then had to add a little padding in the form of tape to make the smaller dowels fit snugly into the corner squares. You definitely want a snug fit so the frame doesn't constantly fall apart on you. Caveat emptor. I setup the 18" frame on a folding card table for a test run. Because the two sets of dowels allow me to make the tent any size I want, I left the 5x10' piece of cloth uncut, and simply draped it over the frame as necessary (shiny side inward). I used two paper clamps to hold the back/upper end of the dry-erase background paper to the rear upright dowels. For this first test, I was shooting some simple images for a Craig's List ad, so I only used a single light, positioned to one side of the tent and pointing downward at about 45 degrees. I'm pretty pleased with the results. The subject (a dark grey lens with a matte surface) is surrounded in nice, even light. The front of the object (facing the open end of the tent through which I was shooting) was a little on the dark side because no light was bouncing in from that angle. Next time, I'll probably make the tent frame 36" long so that I can position the subject farther back into a white tunnel and position the flash farther in front of the subject. 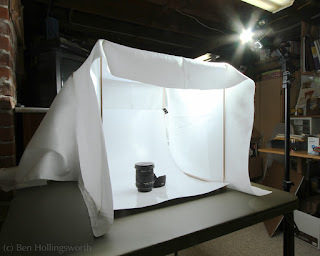 If you're in a hurry and want to scrounge together an impromptu light tent from stuff you find within arm's reach, here's another idea for you. If you want soft light for a really small subject, but don't want to take the time to setup a proper light tent, try this technique. If you need to be more mobile, but still want softer light than a bare flash provides, try this idea or this one. For other DIY light mods, read about this soft box or this bounce card. So there you have it: my DIY tip of the month. What's your favorite home-grown photography accessory? Did you invent it yourself, or follow other instructions? Please share your tips in the comments below. Terrific. Finally read this. Thanks! Ben, a couple of suggestion that might help: dowel sizes can be remedy by ca slot in the end just like Tinker Toys. I believe that why they stay together the way they do. Second item on box sizes. For easy identification, paint the like sizes on the end of the rods for quick ID. i.e. red ends= 12 inch box, green ends = 24 inch box blue = 36 inch box. They should all still fit your carrtube.